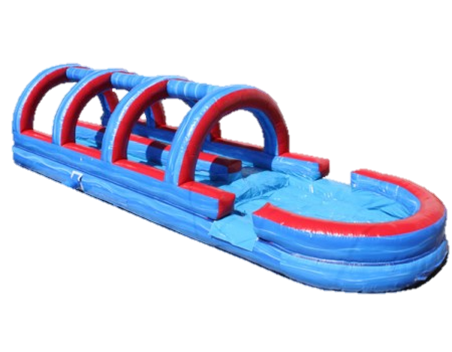 Our 32 ft Blue Wave Dual Lane Slip and Slide will bring excitement to any summer party. Riders slide through and end in a cushioned inflatable pool for extra fun and safety.This unit is great for all ages and party types. i.e., weddings, fundraisers, birthdays, family reunions, commercial events etc.